Trying to teach your children about money can be difficult, but it’s important that you do so. Eventually, they’ll be on their own, and if they don’t know how to be responsible with money, they’ll quickly find themselves in trouble. When you were a kid, you may have had a piggybank for your savings. However, while kids may love these iconic containers, they aren’t nearly as effective as a good old-fashioned clear jar. That’s because these jars will show them just how much they’re saving as time goes on. They won’t get the same encouraging visual from using a piggybank. You’ll get really good results by making a big deal about it every now and then when you walk in their room and see the progress they’ve made in their jar. This is somewhat controversial advice. Some people would argue that their children are already paid for chores: they get room and board. While that’s a fair point, that approach won’t do much for teaching your children about money. Giving your children chores and then paying them for their work will help them sync up the connection between work and money. At the same time, now you can reasonably expect them to pay for a lot of the luxury items they want. Show them that toys aren’t free and that they have to consider costs before deciding to buy things. Perhaps the biggest challenge regarding kids and money is that they generally don’t have much patience. If you begin giving your child cash for chores, there’s a good chance that money will be gone within a week. Impulse control is tough at that age. You can help your child with this by encouraging them to write down a major purchase they want to make. Tell them you’ll pay for 10% of it if they wait a month to buy. A month later, most children will have moved on to another item they really want, but the lesson should become clear: if you’re not patient, you’ll wind up wasting your hard-earned money. One huge advantage you have with teaching your children about money is that the Internet has made it significantly easier for them to earn cash. At the same time, it still takes hard work. Your child will have to bring some kind of talent to the table if they want adults to pay them for work. Obviously, you want to be careful about what your child does online, but there’s a lot of potential here. Plenty of kids have become millionaires. Even if yours doesn’t, they’ll have a better appreciation for entrepreneurship, which may benefit them later. They don’t have to do this over the Internet, either. Starting a lawn-mowing or driveway-shoveling business are just two options they can pursue. 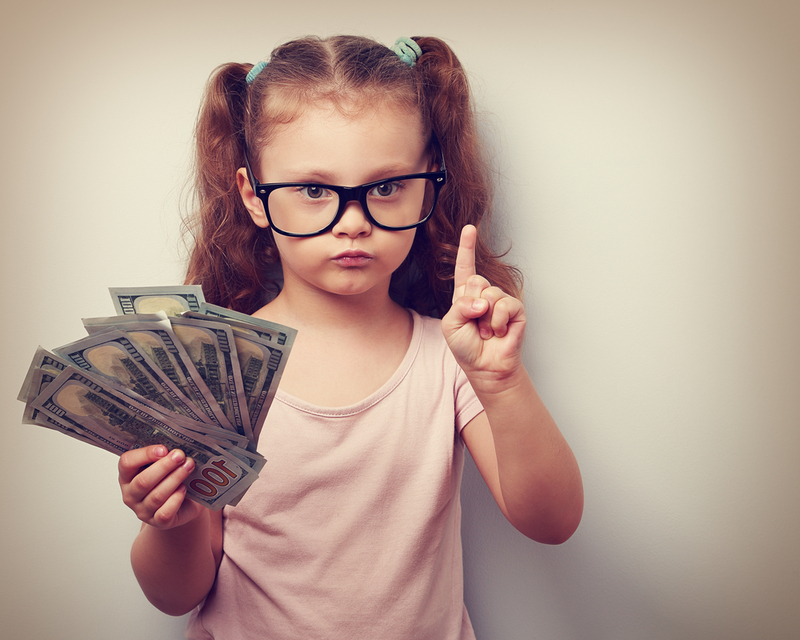 Kids and money management don’t always go hand-in-hand, but if you start early with them and persist over the years, your children will grow up to make good decisions with their money. At Mooney Lyons, we can also help you plan for your children’s financial future.